People known to have ties with radical Islamist groups must be expelled from France and not allowed back, the leader of the right-wing National Front Marine Le Pen said, after a suspected Islamist gunman was apprehended on a train. “Foreigners who are known to have ties with radical Islamism must not only be filed in databases of the special services, but also immediately expelled from French territory, if they live in France. And anyway they must not be allowed entry,” said the French politician known for her anti-immigrant stance. The statement came a day after a man, reported to be a 26-year-old Moroccan previously red flagged by Spanish special services for having Islamist ties, was restrained by passengers on a high-speed Thalys train. The man was carrying several weapons, including an assault rifle, and apparently intended to go on a shooting rampage. 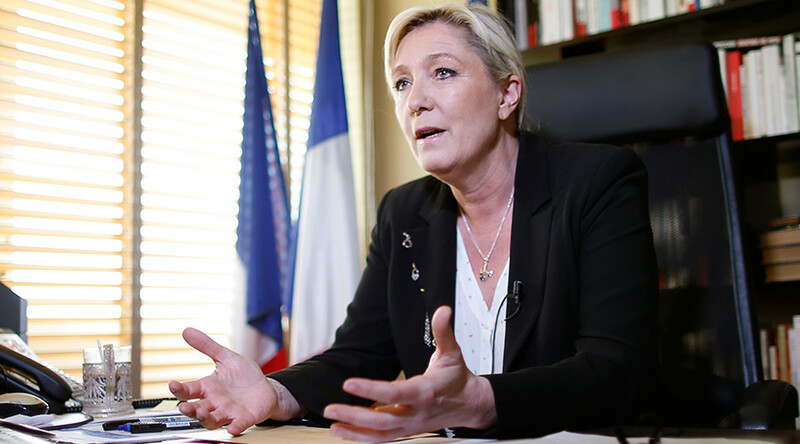 Le Pen said in the case of the man, Ayoub El Khazzani, the French special services had demonstrated poor handling of information concerning potential security threats. “The system doesn’t work because it doesn’t allow for the true question to be asked: why does France allow in a foreign citizen, who is known to be dangerous and connected to a murderous ideology,” she said. “France today is a constant target for the barbarous criminals who take advantage of the lack of borders in the EU and the Schengen zone,” Le Pen added, saying that France should reestablish its national borders. A Frenchman and two American soldiers who happened to be in the car prevented the potential massacre on the Thalys train, which was en route to Paris from Amsterdam. The would-be terrorist stabbed one of the US nationals in the altercation. Another man, famous French actor Jean-Hugues Anglade, cut his hand breaking the glass on the emergency stop button.